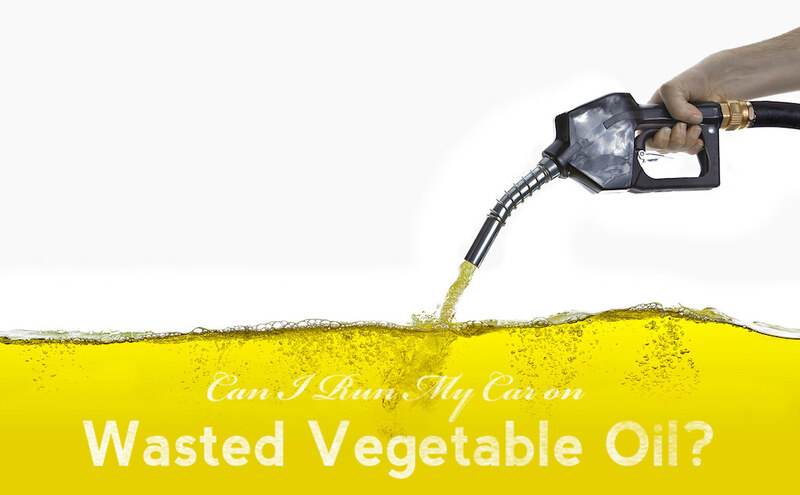 Can I Run My Car On Wasted Vegetable Oil? Last week we talked about the pros and cons of Bio-Diesel. We learned that it reduces emissions while only slightly reducing power and economy, and we learned that you can run any diesel engine on bio diesel without any problems (if it was made after 1993). You can read all about it right here. This week we are looking at the next step of reusable or recycled fuel options, which leads us to wasted vegetable oil, also known as WVO. Is it possible to run a diesel on straight vegetable oil instead of diesel fuel? Yes. Is it advisable? Not without doing a fairly major conversion first. First lets look at how it is possible, and what it would take to make it work long term. The diesel engine as originally designed by Rudolf Diesel was meant to run on peanut oil. That means that if you pour a gallon of yesterday’s french fry oil in your diesel, it will start and it will run. The issue is that vegetable oil has completely different resting properties than diesel fuel or bio diesel, even though they are made from the same basic ingredients. Wasted vegetable oil, at a bare minimum would require filtering to remove water and particulates before use in an engine, or else particulate buildup would be a major concern for long term use. This vegetable oil is also much more viscous at cool temperatures, meaning it would not be able to travel through the fuel lines to the engine to start in most of the world’s climates. Can you convert a vehicle to run on WVO? To make a diesel vehicle able to cope with WVO, you essentially install a parallel fuel system with hardware that is resistant to the specific corrosive qualities of vegetable oil. This system also needs to be heated to keep the oil’s viscosity low. You would first need to install a second fuel tank to hold your vegetable oil. Your engine would start using diesel fuel, then switch over to vegetable oil once it has been warmed up. You would then install switching hardware for the fuel lines, allowing you to alternate between diesel and WVO to run the engine. You would also need this switch for the end of your journey, when you would want to flush the lines with diesel before parking for the night to avoid gummed up fuel arteries if the temperature dips. You then install a fuel line from the tank to the switching hardware including a water separating fuel filter with a heat exchanger. All of this is attached to an automated controller or manual switch to manage the fuel selection at any given time. You can switch over to WVO when the engine is warm and switch back to flush the system with diesel for storage. Would this conversion be worth it? If you are able to do the installation yourself, are comfortable with the outlay of cash to buy the parts (systems start around $4000), are ok with the dirty job of collecting and filtering used cooking oil, and you have access to large amount of oil for free, it’s a viable alternative only for those up to the challenge. Operating a grease car, though, requires sacrificing trunk space to an auxiliary tank, arranging your own fuel sources, picking up, filtering, and storing the fuel, starting the fuel system with regular diesel after every time you drive, and cleansing the system before shutting down. For many, this would be an annoyance far too great for the modest savings. Consumer Reports found (and we tend to agree) that if you have access to biodiesel, running a moderate biodiesel blend in your diesel engine may provide slightly better fuel economy and acceleration than conventional diesel, while costing about the same. This takes a step towards renewable, locally sourced fuel, without the costly and time consuming job of WVO management. Do you run a WVO or Biodiesel setup in your vehicle? We would love to hear about your experiences in the comments below. For more reading on the subject, check out Consumer Reports’ take on the topic here, and the results of the US Department of Energy’s survey on the matter here.